Product #60538 | SKU ESR-TP01-T | 0.0 (no ratings yet) Thanks for your rating! Lightweight Side Battery Plate which forgoes the need to use the heavier standard Battery Plate for Arri Alexa Mini. 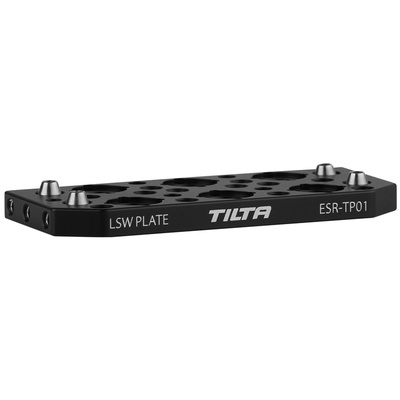 Create an even more compact version of the Tilta Camera Cage for Arri Alexa Mini by using this Tilta Short Top Plate in conjunction with the base connection plate to mount the Lightweight Side Battery Plate which forgoes the need to use the heavier standard Battery Plate for Arri Alexa Mini. This setup is ideal for use on the Tiltamax Gravity Gimbal and for handheld operating setups.